Our team of attorneys is comprised of talented trial lawyers and experienced mediators and arbitrators. By offering representation to clients regardless of the paths their legal challenges lead them down, we ensure we can help all Hawaiians. Our firm won Honolulu Magazine's "People's Choice" award for Best Divorce Lawyer, and we were also named Best Divorce Lawyer by readers of the Honolulu Weekly Newspaper. 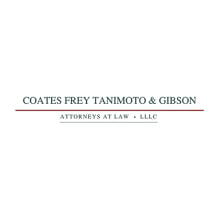 Coates and Frey has been repeatedly selected as Hawai'i's Super Lawyers. Whether your legal need is due to the end of a marriage, a child-related matter or an abusive relationship, you can turn to the attorneys at our law firm, Coates & Frey, Attorneys at Law, LLC, for compassionate, yet aggressive, legal assistance. By taking advantage of our offer for a free initial consultation at our Honolulu law office, you can discover why so many living on Oahu and Hawaii's other islands put their trust in our experienced legal team. 7:30am - 5:30pm M-F and 9am - 1pm Sat.